Submitted by dave on March 30, 2007 - 3:08pm. 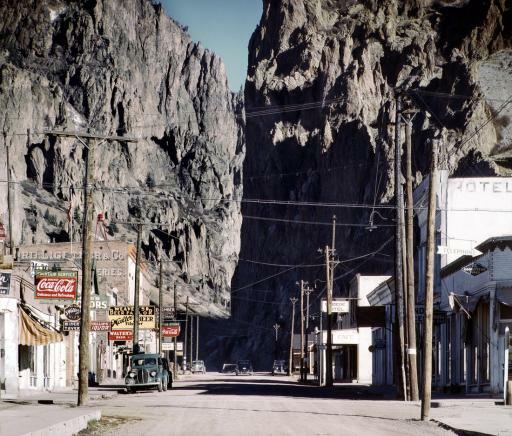 December 1942 photograph by Andreas Feininger of the lead mining town that at one time was the haunt of the notorious con man Soapy Smith. I've been there a couple of times and it looks much the same. Great little town, beautiful scenery, now a fly fishing mecca.